Wireless chargers are convenient, but they don't precisely add to the decor of wherever they're placed. Even with the 2013 Nexus charger, which is relatively sleek, I'm happy its magnet is strong enough for me to leave it on the side of a bed frame or side table, keeping it and its cord out of sight. 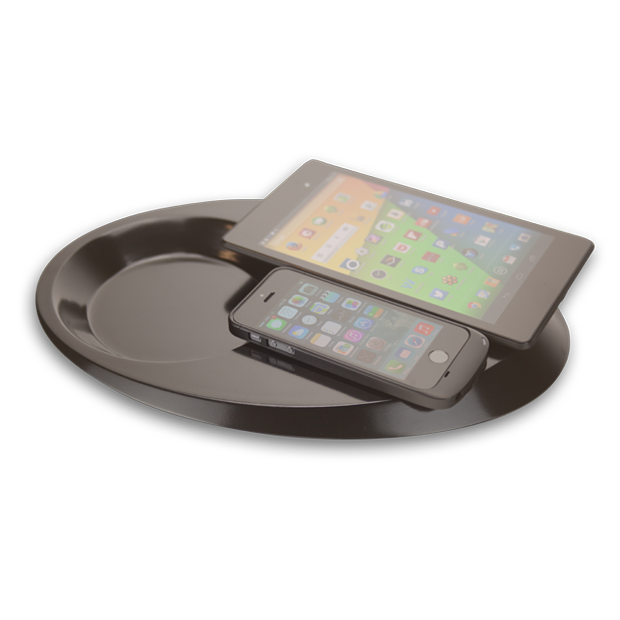 The Pond wireless charging tray promised to take care of this issue, and it did so in a way that attracted enough people (just over 200) for it to narrowly reach its $30,000 Kickstarter funding goal before running out of time. The Pond sets itself apart from other chargers by trying to look like something other than the tech accessory that it is. The developers wanted to create a product that enhances the environment that it's in, rather than detract from it. 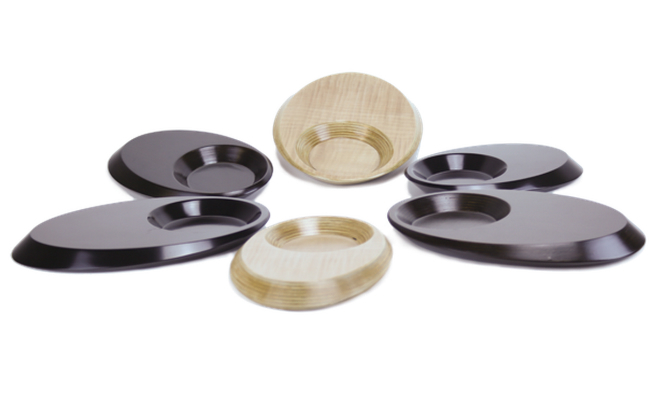 As a result, the Pond doubles as a tray that can charge devices and store other objects, such as keys, as the same time. 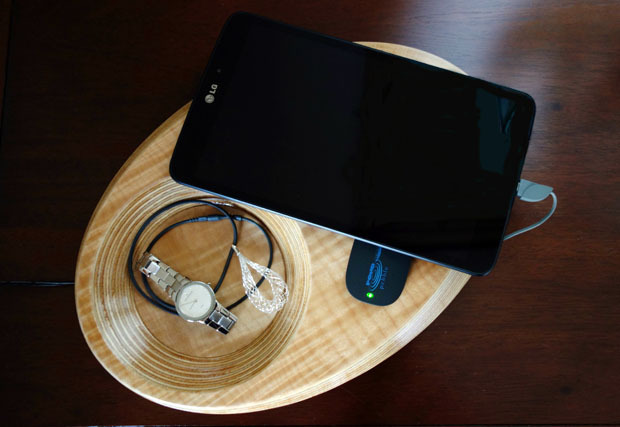 The oval tray contains a 10,000mAh battery, so it doesn't require an unsightly cable 24/7 (though there is some irony to needing a charger for your wireless charger). In addition to the Pond, the developers have created the Pebble (no, not that Pebble), an accessory that can plug into any device with a microUSB port and make it Qi wireless charging-compatible. 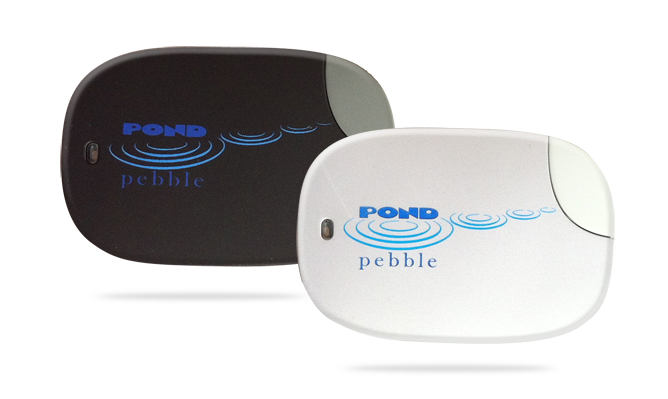 The Pond charges just a single device, while the Pond Duo can charge two. Both will retail for around $200 when they eventually hit the market. That, frankly, is enough to buy several "ugly" wireless chargers. So if you want style, it's apparently not going to come cheap.